4 Go RAM (DDR2-SDRAM - 2 x 2 Go ). Normale funtion. Getestet mit windows 10 x64. Non posso però garantire le shede madri proprio perchè non ho un altro processore per fare la procedura di update del BIOS. Quindi per il prezzo di una CPU vi portate a casa, gratis, anche le 2 schede madri. Feature： WIFI bluetooth 4 MB Flash Lithium battery interface(battery not include), 500mA Max charging current. Package Include: 1 x 16pin 1 x 20pin 1 x WEMOS LOLIN32. Description: Brand new Size: about 56mm*45mm*1.2mm Over voltage range: 4.25-4.35v±0.05v Over discharge voltage range: 2.3-3.0v±0.05v Maximum operating current: 0-25A Maximum transient current: 34-40A Quiescent current: less than 30uA Internal resistance: less than 100mΩ Working temperature: -40--- 50℃ Storage condition: -40-- 80℃ Effective life: more than30000h Short circuit protection: Yes, delayed self recovery Precautions: Strictly according to the diagram wiring: 0V(B-)3.7V(B1)7.4V(B2)11.1V(B ), Do not deliberately short circuit. After the line is connected, Need to charge first, then have output. When the battery is connected in series with 3 groups, Please ensure that the voltage of each battery is the same. If not same, please fill in each set of batteries and then use. Do not m.
CPUs: 4x AMD OPTERON 8384. Model: OEP30W. Size:25 18 2mm. Output Power:30W/8ohm/24V;15W/8ohm/16V;22W/4ohm/16V;15W/4ohm/12V;. Work mode: D class(PWM modulation). United Kingdom. Channel: Dual Channel. NEW, ORIGINAL parts. Transistors, and so on. CPU-Lüfter: Scythe Kodati, nur 34mm hoch, perfekt für kleines Gehäuse! Auf dem Rechner war Windows 10 Pro installiert. Müsste eigentlich weiter benutzbar sein. i3-4150 mit 3,5 GHz, 55W. Zustand: Gebraucht. Material: gold-plated solid hard copper Connection: soldering Size: 14.5 mm of diameter (maximum), height 32 mm Suitable for 4mm banana plug,spade connectors or bare wire. Color: Black Red Compact, reliable and durable. After being isolated,External components are insulated. screw,lock,assembly are easy to operate. contents of supply： 1 X 2 Speaker terminal Note:Light shooting and different displays may cause the color of the item in the picture a little different from the real thing. The measurement allowed error is /-1-3cm. Feature: Easy to install Noise Canceling Eliminates ground loop noise between audio source and radio Can effectively solve the problem of car audio noise Works with any portable device that has two 3.5mm audio jacks Power supply noise of igniter produces filtration effect, make the sound effect is better Specification: Voltage: 12V Size: approx 6.3 x 3.8 x 3cm (L*W*H) Cable length: approx 13cm Package Included: 1 X Car Audio Noise Filter. Adafruit 2168 IR Break Beam Sensor photoelectric switch - 5mm LEDs. Code Type: Learning code (eV1527). A variety of low-rate wireless transmission of digital signals;. Other country. Italy ,Russia. United Kingdom. There are 13 types, 10pcs for each type. Totally 130pcs. Compatibility: Arduino breadboard kit project, PCB project, pc motherboard and etc. Double tinned wire, PVC, Good conductivity. 1 Set x Jumper Cable Wire. Specifications: Color: Black Material: polycrystalline silicon solar panel Output voltage: DC18V Power: 2W Usage: solar energy is converted into electricity Scope of application: unive. PCB board etc. - Thickness: 1.5mm. - Double Sided. - Size: 100X150X1.5mm. Package Include: 1 x Sonoff Wireless WIFI Remote Controller 433MHz RF Remote Controller For Home. New Solder Sucker Desoldering Pump Tool Removal Vacuum Soldering Iron Desolver. SOLDER SUCKER DESOLDERING PUMP. Desoldering pump designed to be easy to use. Large capacity spring-loaded plunger quickly removes solder in a single action. NEW! AMD Ryzen 3 1200 CPU 8GB DDR4 RAM Asrock A320-HDV Motherboard Combo. Condition is Used. Test myself and still works. No returns. What ever in the package will be there. B undle, no boxs, just the board cpu and ram. 1 6gb Ram ddr3. 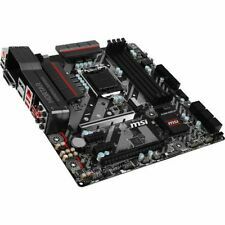 G A- Z 6 8 M A - D 2 H - B 3 m o t h e r b o a r d.
MSI 760GB-E51 (FX) Motherboard. X4 965 CPU @ 3.4GHz. Heatsink might vary a bit from the photos. Includes IO Shield. AMD has really done an excellent job of engineering and producing these processors. Pair it with a VERY HIGH QUALITY Gigabyte A320M-S2H motherboard and you are well on your way to a great, custom Ryzen build! It is a great motherboard for starting your new mATX system build. ASUS builds a quality product and it has the following specifications mATX form factor. 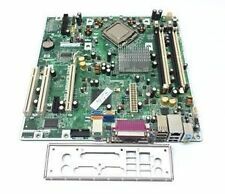 I have a great motherboard combo for sale! Specs of Ryzen 5 1600 Processor AMD AM4 Socket for AMD Ryzen/ 7th Generation A-series/Athlon Processors. AMD Ryzen Processors. 2 AMD Ryzen Processor does not support. AMD Ryzen/ 7th Generation A-series/Athlon Processors. Continuous 15A current maximum temperature rise: 25 ℃. Short circuit protection delay 200/500/600uS. The normal working state of B- to P- resistance: 5mΩ. Single section since the power consumption: 30uA. Part Number: X7DBE . CPU: Dual LGA771 sockets, supports Xeon 5400/5300 processor up to 3.16GHz; Xeon 5200/5100/5000 processor up to 3.4GHz. Two Xeon E5320 4.86GHz/8M/1067 processors included (NO HEATSINK). Transistors, and so on. Especially in Hard To Find Parts. Best price, Good quality. NEW, ORIGINAL parts. East/South Asia. 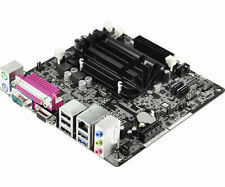 Mini itx motherboard with 8g ram i3 cpu fan with back plate. plate has a little cut on the side.tested and fully functional. Includes a Quad Core Processor! Ram is 2X2GB pc2-6400. Pulled from a working PC. ATX form factor. “Working condition, fully tested! New batery CR2032. Synology NAS DS1515 mainboard only with 1x2GB Synology labelled RAM ( spare SODIMM slot for upgrade). Would make a great alternative to an Xpenology build if you have a powered backplane to fit or to get your DS1515 working again if yours has failed out of warranty. 40pcs chromatic color male to male dupont cables. length: 10cm. Male to Male 1p-1p pin header. Best price, Good quality. Easy to install and use. NSC, TI/BB, INTERSIL, XILINX. and so on. Especially in Hard To Find Parts. 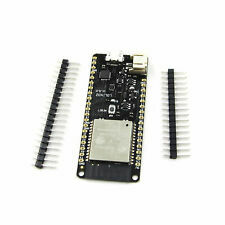 Allwinner H2 Banana pi BPI-M2 Zero quad core singel-board computer Support WIFI. Banana PI BPI-M2 Zero is the open source hardware platform,Banana PI BPI-M2 Zero is an quad core version of Banana Pi,it support WIFI on board.